Brokers will now have another option for Alt-A mortgages, with one major lender announcing an alternative product that will target a brand new customer base. In an exclusive interview with MortgageBrokerNews.ca, Bridgewater Bank’s assistant vice president, B2B, Todd Poberznick discussed Gateway – the lender’s recently launched alternative product. The soft launch was done in a bid to seek broker feedback ahead of its official launch next week. “We’ve gone out a little bit ahead of time to get some broker feedback and we had leaked it out to some brokers to be able to give us feedback about our product and what we are going to present and for the most part it got very positive feedback and they gave us some good criticism on some areas they thought we could improve on so we took that to heart and made some moves and that’s what we’ve launched on the 23,” Poberznick said. And that feedback led to some tweaks to the product before its official launch. 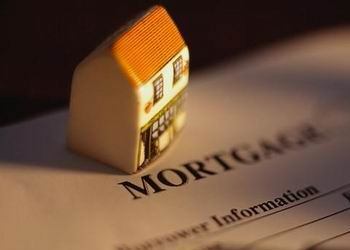 With the new product, Bridgewater Bank will target self-employed clients, new Canadians, those with bruised credit and hopeful homeowners who have been shut out of the market due to tightened mortgage lending guidelines. Bridgewater currently has seven underwriters on staff to support Gateway and they will offer the product to Canadians across the country, with the exception of the Maritimes and Quebec. Can't wait to see what Bridgewater has to offer on the Alt-A side. More competition in that segment of business is definitely warranted. So much business is left because we don't have many lenders willing to service. Thanks for covering our Gateway release Justin. We're excited to offer more choices within the Alt-A market. For those interested, you can find more information at www.bwballstarportal.ca. This is good news that one more Lender is coming with the Alt - A product. We do not have many lender offering mortgage under Alt -A program . They will definitely get more business of Business for self clients .